My first time hiking Quarry Rock in Deep Cove was last year and I was glad that it was easy! I’m not much of a hiking person actually but I do want a slight challenge and some exercise so it’s the perfect hike for me! Also, I can use it as an excuse to go eat after! We went over the BC Day long weekend and surprisingly it wasn’t too crowded. I arrived at 10am and we came back down around 12pm after sitting at the top for a bit. This entry was posted in Cafe/Bakery, Food Reviews and tagged crepes, smoothies, vegetarian, wraps. This entry was posted in Cafe/Bakery, Desserts, Food Reviews and tagged healthy, raw, smoothies, vegan. 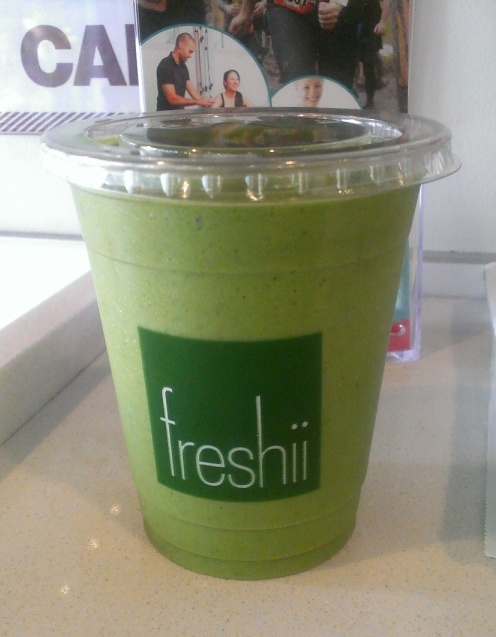 I was feeling healthy for once so I decided to get a smoothie from Freshii. I just wanted to compare it to Jugo Juice which is basically the only other fresh smoothie place around. Ok besides Orange Julius? 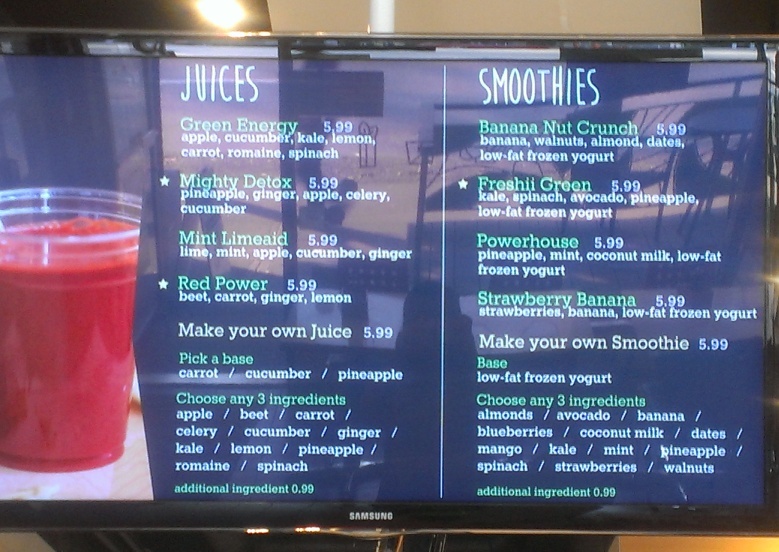 You can pick one of their existing juices or smoothies or opt to make your own. I decided it would be safer to stick with one of their combinations so I went with the Freshii Green. As advertised, it was very green. This had kale, spinach, avocado, pineapple and low-fat frozen yogurt. 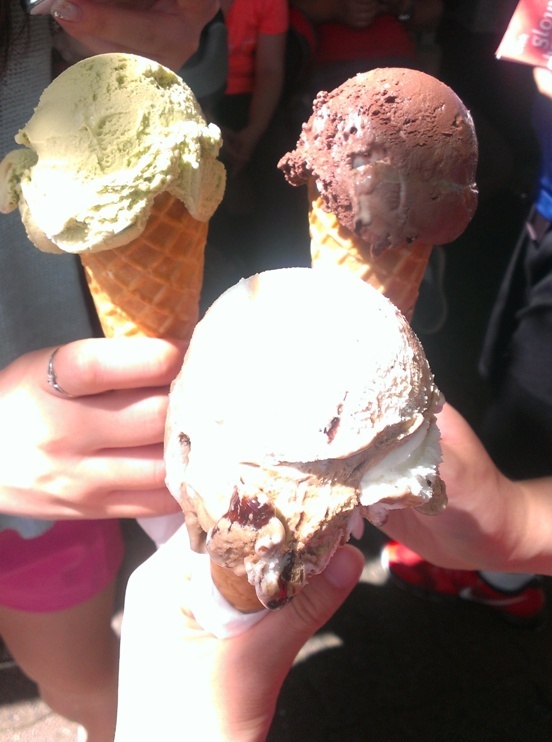 The texture was not too thick and it just tasted very… green. I wish it was sweeter or fruitier because it felt too bland for me. Mostly I just tasted the avocado I think. Not really my kind of smoothie… Also, for the portion size (about 16oz? ), I could pay a bit more and get more from Jugo Juice. Or maybe I would’ve like their juice options better. They did have some interesting healthy bowls and wraps though so maybe I’ll try those instead although they seem on the pricier side. Also, their froyo is suppose to be pretty good too but it’s not the self serve kind like Qoola. This entry was posted in Cafe/Bakery, Fast Food, Food Reviews and tagged avocado, healthy, juice, smoothies.